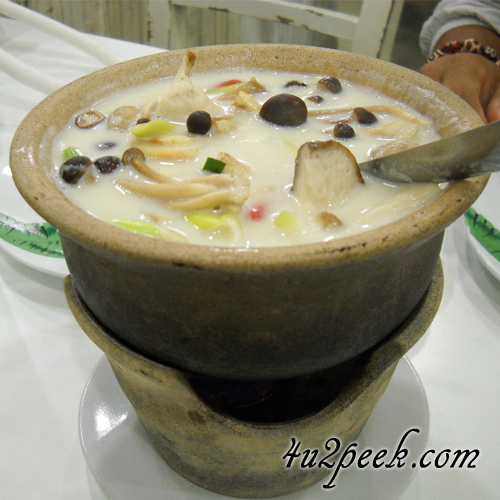 Millions of visitors visit Thailand each year, many of them list Thai food and hospitality as the main attractions. While traditional Thai food can be delicious and very popular, it is truly non-vegetarian and this can pose a few challenges for some visitors. If you arrive on a vacation to Thailand and happen to require vegetarian food, you might have to do a bit of searching and discovering. Hotels big and small can generally manage to serve you vegetarian food, the choice in many cases might be quite limited. You might find it convenient to eat veg food in a Thai hotel for breakfast or dinner but, coming back to the hotel for each meal of the day might not be too convenient. - Strictly vegetarian: No milk or milk products, no meat and no fish or seafood. The Thai word to describe such food is ‘CHE’ the ‘ch’ is pronounced as in the English word ‘Chunk’ and the ‘E’ is more like ‘Ay’. Ingredients like fish sauce or animal based oils are strictly off the table. Visitors to Thailand who expect to find such food should, make a strong effort to ensure that their requirements are understood by the restaurant or food shop. - Eggs Are Okay: No dictionary would classify eggs as vegetarian but, it is not uncommon for people to say that that they need veg food but, do not mind eating eggs. If you happen to be unfamiliar with Thailand here is what you should know, the restaurant is likely to presume that you are also fine with some other ingredients like fish oils and fish sauce. Unlike strictly vegetarian where a single Thai word ‘Che’ explains it all, the ‘eggs are okay’ version will need some more explanation. - Dairy Products Are Fine: Many Indians who refer to themselves as ‘vegetarian’ are comfortable eating milk based foods, yoghurt is very popular in that part of the world. Useful Graphics: We have prepared some useful graphics for you, these images explain various interpretations of the term ‘vegetarian food’. The terms are explained in English and Thai, this so that you know what exactly you are asking for. Save these images on your smartphone, or better still keep the link to this web page in your bookmarks. Preparing Yourself: Restaurants in Thai cities and larger towns might be able to comprehend your requirements when stated in English. But you might not want to take chances as, getting the wrong type of food and having to skip a a meal after a tiring sightseeing trip can be extremely disturbing. It is a good idea to request the hotel lobby to write down your food details on a piece of paper, carry the paper with you and show it at the food shops. And what if you lose the paper, technology has made life simpler in our times. Just take a picture of the note on your smartphone, forward the image to others in your group. Consider the possibility of picking a few snacks and drinks as you leave the hotel for your sightseeing trips. Convenience stores and larger department stores, should be able to equip you with at least a few things that can help hold hunger for a while. Chips, nuts, fruit juices, breads, buns, yoghurts and possibly some cut and packed fruit. Most large petrol stations are equipped with all night convenience stores. Typically stores like 7-Eleven and Family Mart are open 24x7. Larger department stores like The Mall, Central, Lotus Supercenter, Robinson and Big C open at between 10-11am and close at around 8 to 10pm. 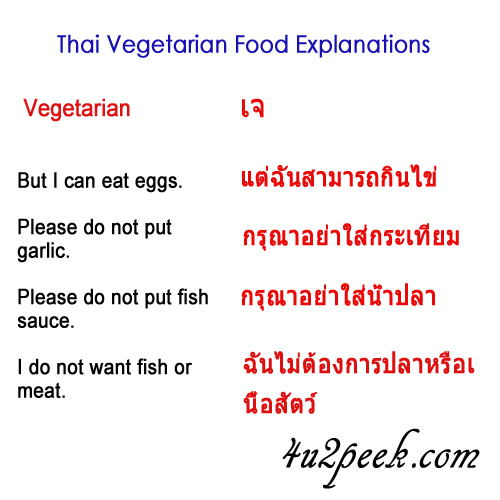 Vegetarian Mock Meat: When you talk about vegetarian food in Thailand, mock meat is something that you need to be aware of. The main ingredient in mock meat is soy protein, it is available in different forms and could contain cooking flour and some herbs too. It is referred to as mock meat as it is made to resemble real meat in the form of pork chops, shredded pork, fish balls etc. There are few Thai food shops that serve nothing but, Thai veg food – these places make generous use mock meat. 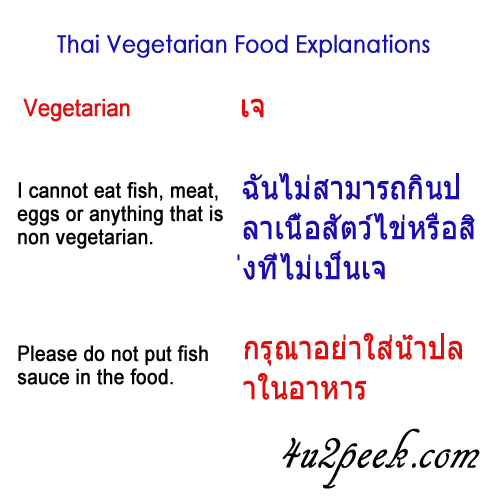 Such shops generally do not serve egg, fish sauce or any other ingredient that is non-vegetarian. If you are lucky enough to come across such a restaurant, you will most probably have a large menu of Thai veg dishes to choose from. Familiar names like somtum, green curry and ‘pad Thai’, would be available in a completely vegetarian form. Simple Thai Veg Dishes: If you are okay with some very basic Thai veg dishes, here is what you can ask for. 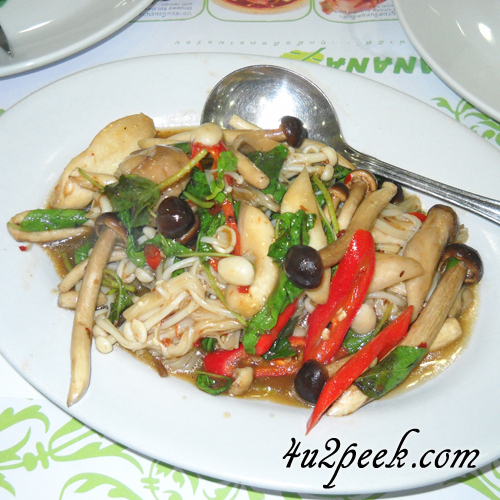 Sauteed Vegetables: Phat Phak Che. This explains that you need vegetarian food, the cooking sauce used will be a vegetarian soy based sauce. Thai Vegetarian Festival: If you happen to be looking for vegetarian food in Thailand, during the Thai Vegetarian Festival, you are in for a super treat. The festival dates follow certain lunar days around the month of October and November each year, you will need to check the dates for a specific year. 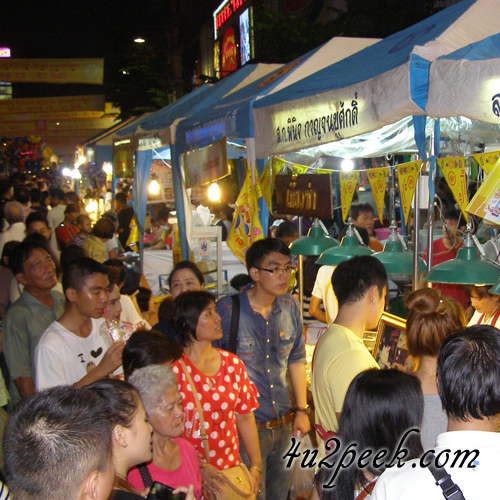 The festival lasts for around 9 to 10 days and during this time, almost every restaurant or food stall will have some Thai vegetarian food to offer. 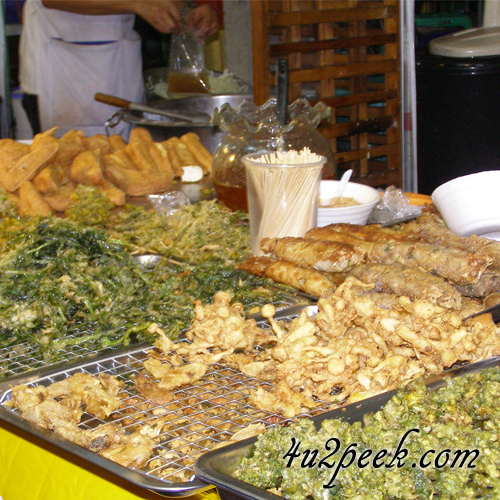 Most provinces including Bangkok have large food markets where, nothing but veg food is sold. Chinatown in Bangkok is the place to be if, you are serious about getting a taste of delicious veg food cooked in Thai style. The ‘term vegetarian’ during this festival is strictly interpreted – no milk and no eggs, no fish sauce absolutely nothing that is non-vegetarian. There is a religious significance behind this festival but, you can enjoy just the food if that is what you wish to do. Quick Tips: If you are not very familiar with place that you stay in Thailand, accept the fact that it could take a while to locate a place that will serve you veg food. And even after you have found a vegetarian restaurant or food shop, it could take a while to get your food ready. So keep sufficient time to get to your food, do not begin the hunt in the last moment. This becomes all the more important if you are any type of medication, that needs to be taken at a fixed time. Supermarkets in department stores and convenience stores would have foods like, yoghurt, breads, nuts, fruits and fruit juices to keep you going for a while. If you happen to be in an area of Bangkok or Thailand where, there are Indian restaurants, your request for veg food should be well understood. You would most likely get a fairly large list of Indian veg dishes on the menu.